Hungarian artist designs giant polystyrene man, named Feltépve, erupting from the depths of the underworld! In the past, we have come across some really unusual, albeit equally inventive, artwork, like the somewhat-outlandish three-wheeler dinosaur bike or the colossal underwater sculpture of a Bahamian girl, called Ocean Atlas. But when it comes to the bizarre, the following piece easily takes the cake. 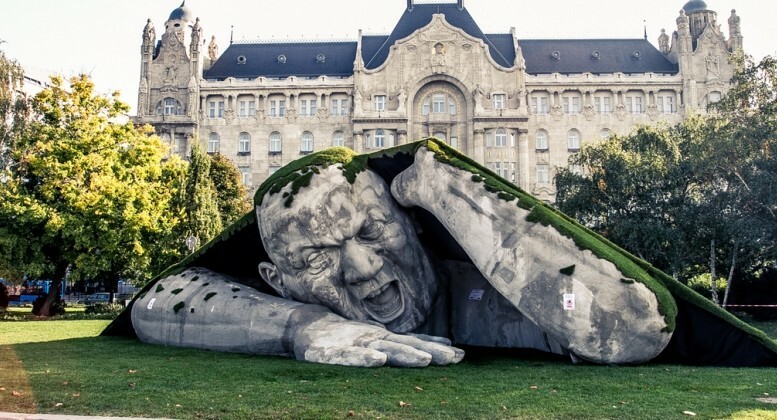 Going by the name of Feltépve (meaning “ripped up” or “popped up“), this gigantic polystyrene man seems to be crawling out from under the earth, right in the middle of Budapest! 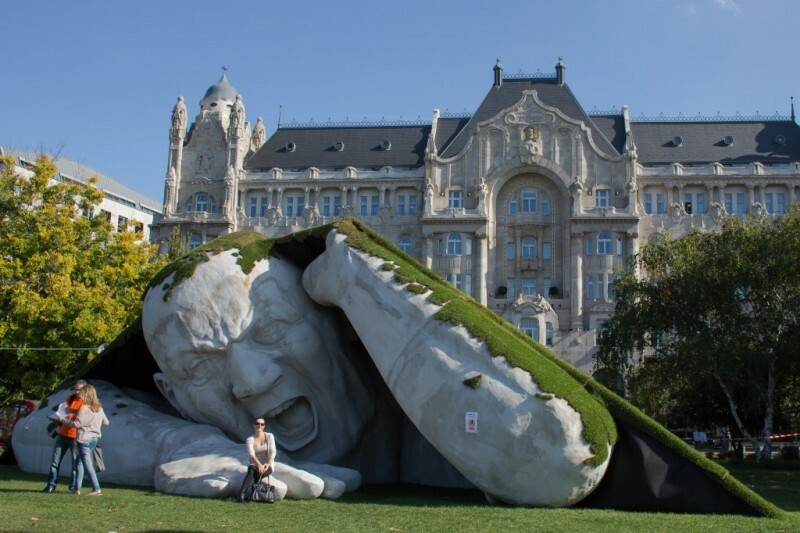 Designed by Hungary-based artist Ervin Loránth Hervé, this temporary outdoor sculpture was installed at Széchenyi Square, as part of Art Market Budapest 2014, an international exhibition that focuses on contemporary art. The enormous figure is that of a man wriggling out from under the earth, by stretching part of the lawn itself. His face, contorted in concentration, seems to mirror the herculean effort that he has to expend in pulling himself up from the depths of the underworld. 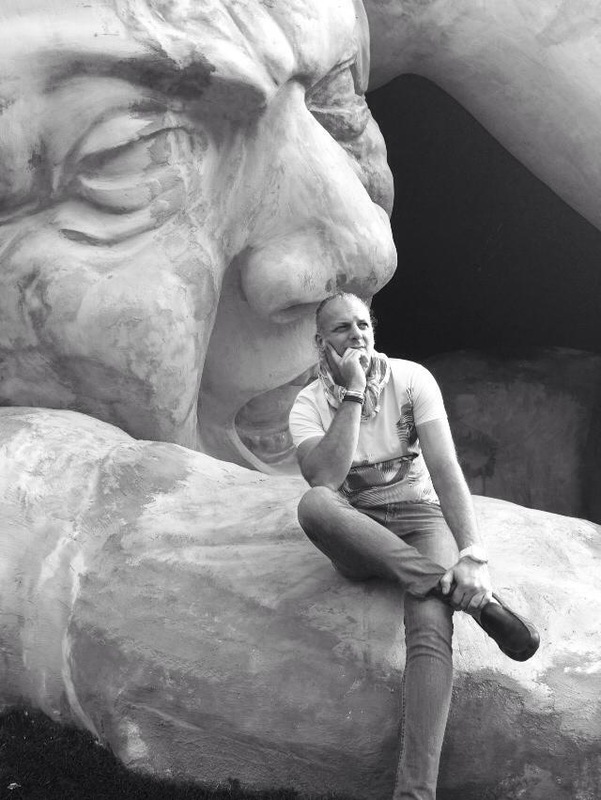 What is more, the indignant expression of the statue actually makes it look more human! Constructed using polystyrene, the sculpture is painted in varied shades of gray, such that it mimics the earthy tones of nature. 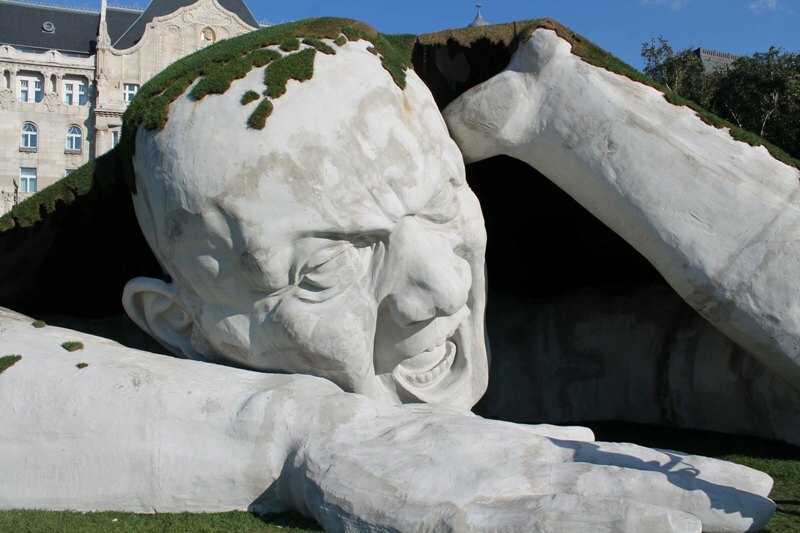 Currently, the giant snarling man is on display in the German city of Ulm. I think that this is a truly contemporary piece of artwork, in an extremely large size. 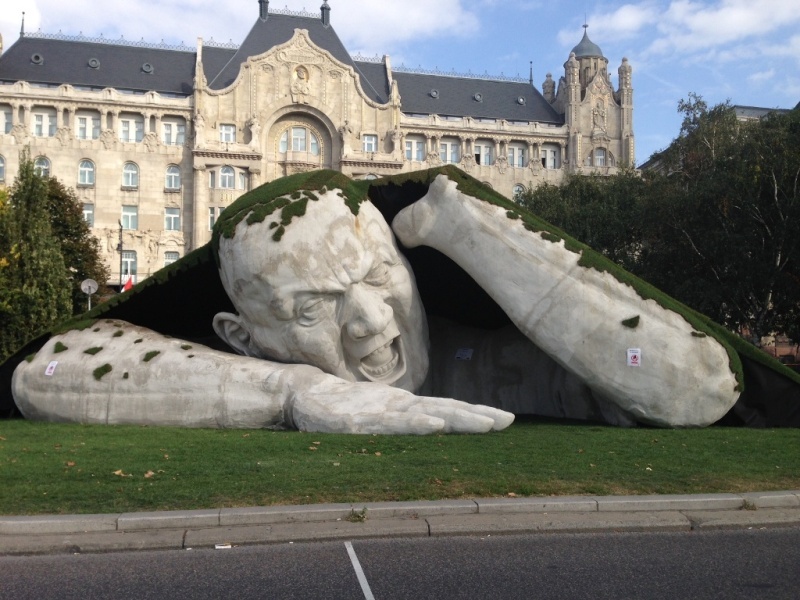 My goal was to show people that pieces of contemporary art can be integral parts of a city, that they can become one of its building blocks… I say that many more contemporary sculptures should be displayed on the streets of Budapest. I’m positively sure that not only tourists would love them, people living in the city would too. Let’s dare to create!